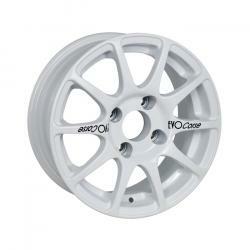 Sport 14 is the perfect tarmac rally alloy wheel for small cars . The conformation of solid and semi-closed wheel protects the brake calipers from stones and always allows the correct air cooling. The light and solid design guarantees high performance both on tarmac and gravel rally. Sport 14 is available in stock for Peugeot 106 but can be machined for many other applications.